I am thrilled to be back visiting Jen’s for my 3rd year in a row for her Holiday series! I love all the inspirations that are shared every year! It is your one stop shop for all things holiday! 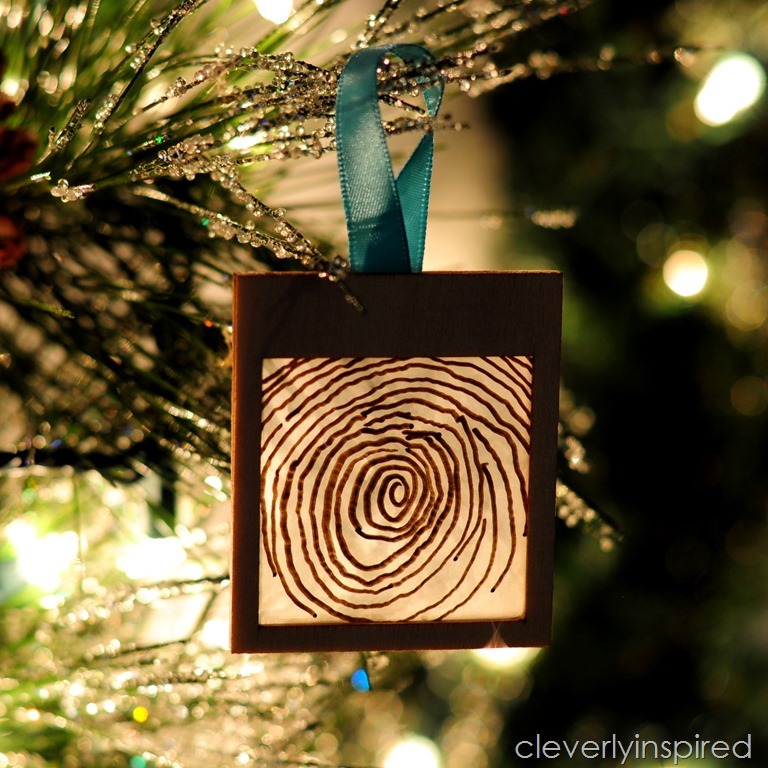 A handmade Christmas ornament is always something that is well received. You can’t go wrong! 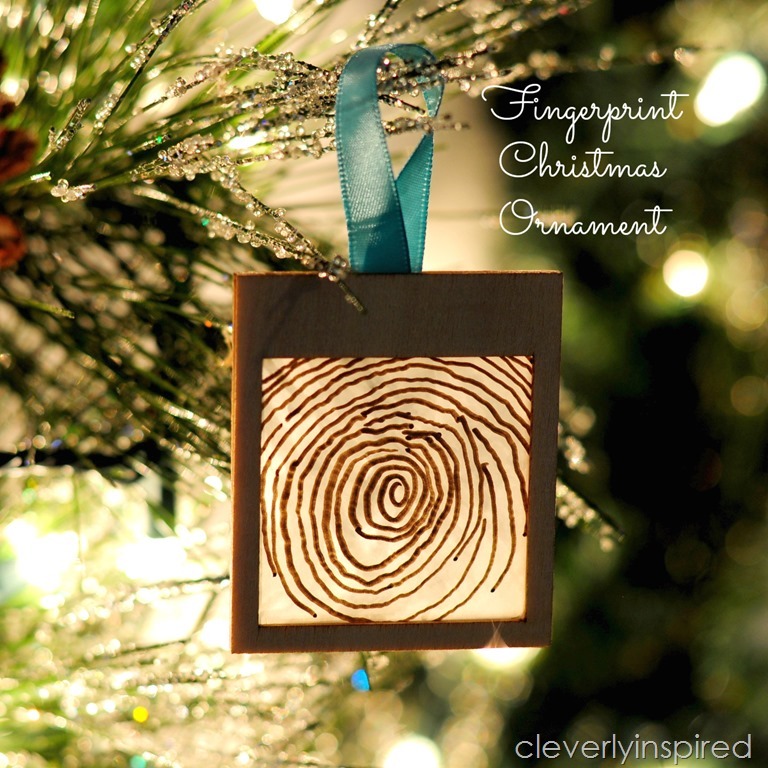 This Handmade fingerprint christmas ornament is a great school activity for kids to give something unique to their parents or grandparents. It is inexpensive to put together…a little bit modern….which I love and is completely 100% unique! 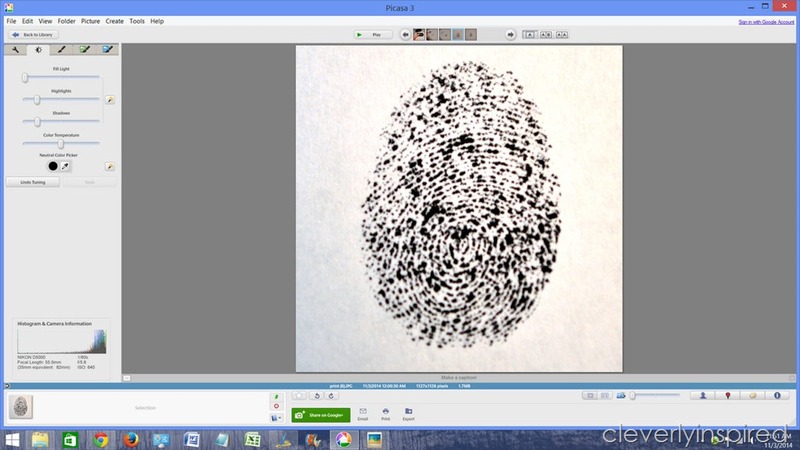 You are going to need to enlarge the fingerprint first. 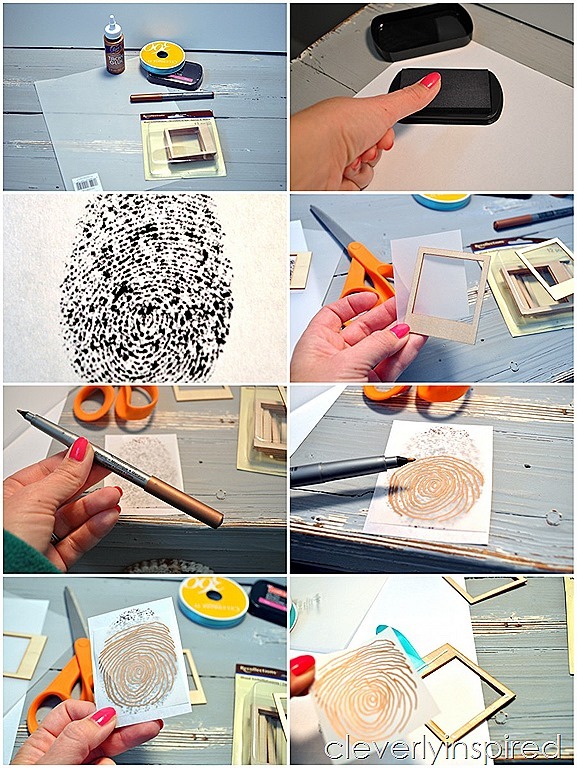 Do this by making a few ink stamps on regular paper and taking a picture of them. Upload to a photo editing program like Picasa. 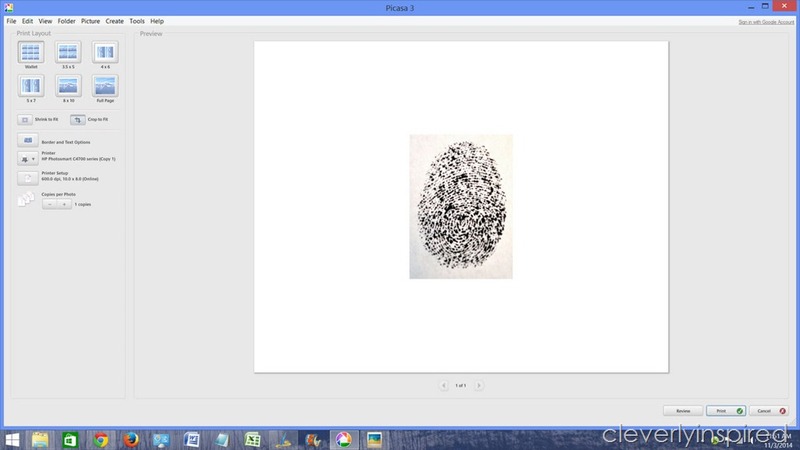 Enlarge the print to a wallet size and make the contrast enough so that it will be easy to trace. Cut out your print and fit to the frame. Thanks Jen for having me visit!! Tracie contributed lots of yummy recipes this year. This recipe for Slow Cooker Beef Barley Soup looks delicious! She also has amazing DIY ideas. 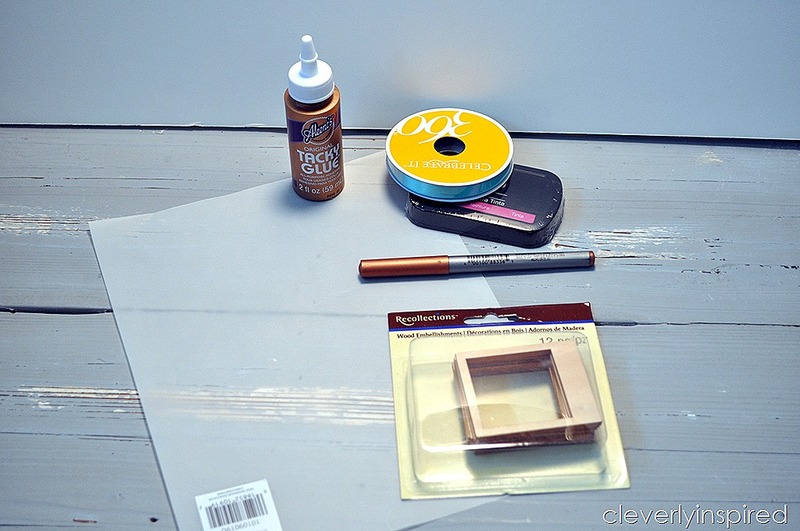 I love this DIY Necklace Holder! So pretty in her bathroom! Tracie also moved this summer, and she has lots of inspirational posts about decorating her new home. Check out her post on the light fixtures she bought for her new home. I’m loving this one. 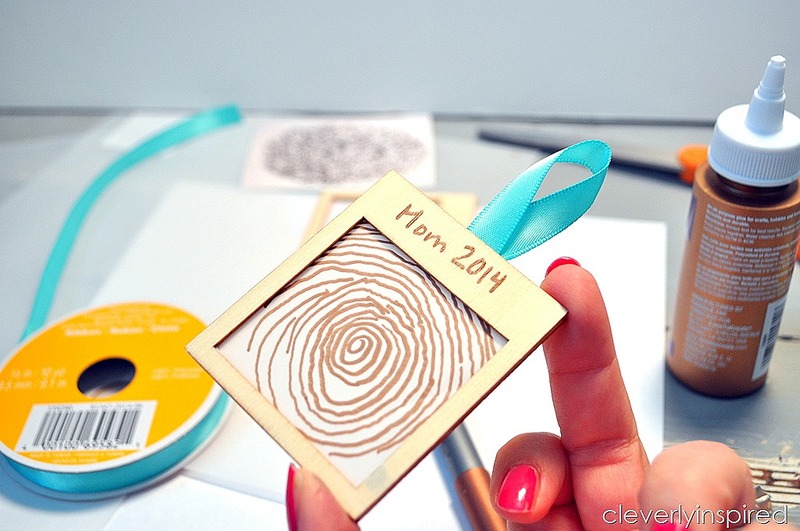 Loving this idea but I can’t find the frames. Do you have more info on what I should be looking for? Too bad there wasn’t a way to print directly onto the velum and save a step! Very cute idea though!!! You could do it directly on the vellum. I have printed on vellum many times. It just takes longer to dry. This is such a neat idea. I am a bit nervous I would mess it up when I enlarged the print though. It would make a great gift for my daughters to give family. Love this! I was just searching for a craft to do over Thanksgiving with my niece and nephew! Might have to do this one 😉 I love how personal it is! This is such a wonderful idea! I might have to do this with my preschool class this year. I know the parents would love it. Thanks for sharing!